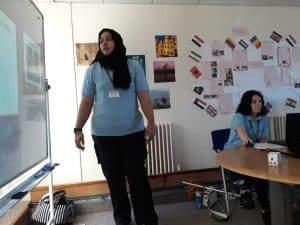 We were delighted to be joined at a recent ESOL class by our friends from West Midlands Fire Service to deliver their “Welcome to Wolverhampton” workshop. Our ESOL tutor Tahira said, ” It was a real benefit to my students to have the experts from the fire service to talk through some safety advice as part of my class”. MiFriendly Cities LaunchWolverhampton Office relaunch!